PARIS — Floyd A. Harlow Jr. Veterans of Foreign Wars Post 9787 of South Paris hosted a banquet to recognize the District 9 winners of their Patriotic Essay Contests on Feb. 3. Winners of the high school level Voice of Democracy essay “Why My Vote Matters” were Alexi Knight of South Paris, first; Zaria Milashouskas of Lewiston, second; and Emma Bunyea of Oxford, third. Winners of the middle school level Patriots Pen essay “Why I Honor The American Flag” were Daisy Sweatt of Peru, first; Ryan Stanford of Poland, second; and Abbey Therriault of Dixfield, third. Emma Bunyea won first place in last year’s Patriots Pen essay. Alexi Knight won first place in last year’s Voice of Democracy essay. 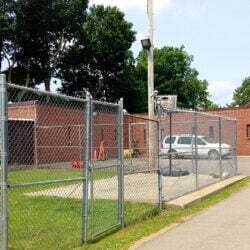 District 9 includes VFW posts in Lewiston, Auburn, South Paris, Jay and Rumford.